At Saracena, a village located halfway within National Park of Pollino, in the province of Cosenza, a vine which produces Saracena 'Moscatello' is cultivated. It is an autochthonous vineyard, cultivated only in this area, whose history allured and allures both fond-of-wine people and experts. From Moscatello combined with such grapes as ‘Guarnacca malvasia’ and ‘Adduroca’, whose name in the local dialect means ‘scented’, a rare sipping sweet wine is obtained. It is able to express unique sensations and today it is produced as it happened in the past, with a process which consists in a separate vinification of Saracena Moscatello, especially scented and aromatic, and the other three local vines. During the last ten years, thanks to the initiative and determination expressed by some ‘pioneers’, the land won by Saracens, which later was chosen as a feudal dominion by Normans, managed in carrying out an extraordinary qualitative leap in wine production: this harsh land was able to produce new excellences in the oenological national and international landscape. Behind every successful wine there is always an extraordinary history, which talks about men and women who wanted to bet on their future. 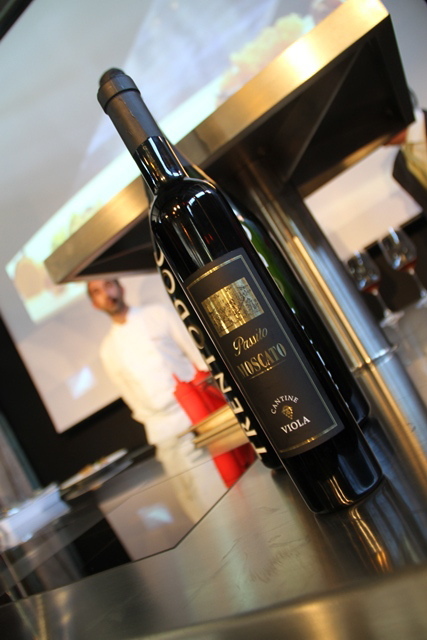 Behind ‘Saracena Moscato Passito’ there is Luigi Viola’s history. He is a passionate and far-seeing primary-school teacher who in 1999 left his profession and decided to give a new life to this dying thousand years old ‘Gods’ nectar’. This is a complex, intense, fine, harmonious wine, yellow amber-coloured with caramel reflections, aromatized, with a scent of dried fruit, figs, dates, honey, dehydrated apricots, citruses, soon appreciated in spite of the initial suspicion expressed by experts and critics, asserting itself for its preciousness, which is a result of its wine-making method. Mr Claudio, one of the owners, founder’s son, explains: «We begin from vineyard, cultivated according to the organic method - attested by the certification consistent with 834/07/CE Regulations and following modifications and integrations - where during the first days of September the bunches of Moscato grapes are harvested. Then they are hung in ventilated rooms in order to dry them. This is one of the first working stages. The second stage begins during the first days of October, when the other three grapes are harvested. They are pressed and the so obtained must is concentrated by boiling it, in order to increase its sugar content. At this point, the must is placed in the barrels and then the operators come back to Moscato withered grapes, which are picked from the bunches and pressed by hand, in order to avoid breaking the grape-seeds which, if broken, might alter the taste of the final product, so compromising its delicacy. 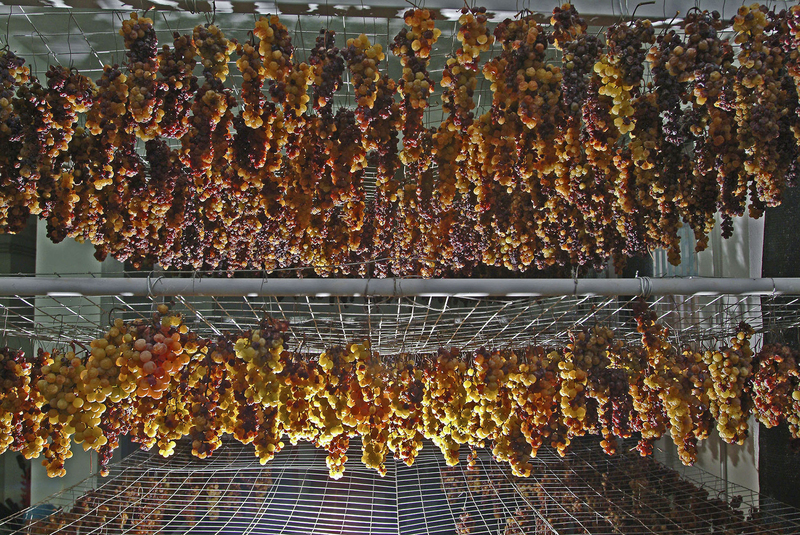 All these withered grapes are inserted in the concentrated must and this way the fermentation produced by the yeasts of Moscato grapes begins. This is an art officiated by the women of our village only. 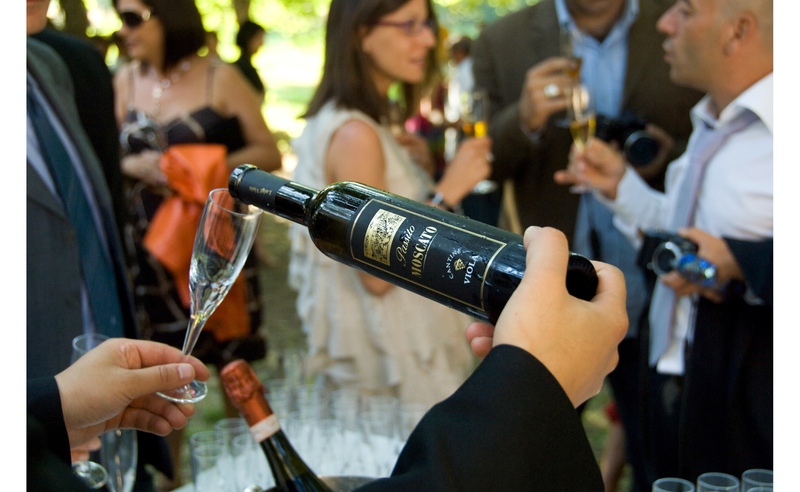 The must of Guarnaccia and Malvasia, with the addition of pressed Moscato, is left to macerate for about six months». The final product refines for seven months in stainless steel and six months in bottles before being marketed. Mr Claudio tells: «This is a jigsaw where all the parts must fit together; the assembly of the different musts at different temperatures and concentrations must be perfect, where the aromatic quality of vines explodes, but in a not intrusive way, acidity and sweetness are perfectly balanced and allow combining this sipping wine to both deserts and cheeses». Much time has passed since Luigi Viola undertook his adventure, marketing only 200 litres of product. 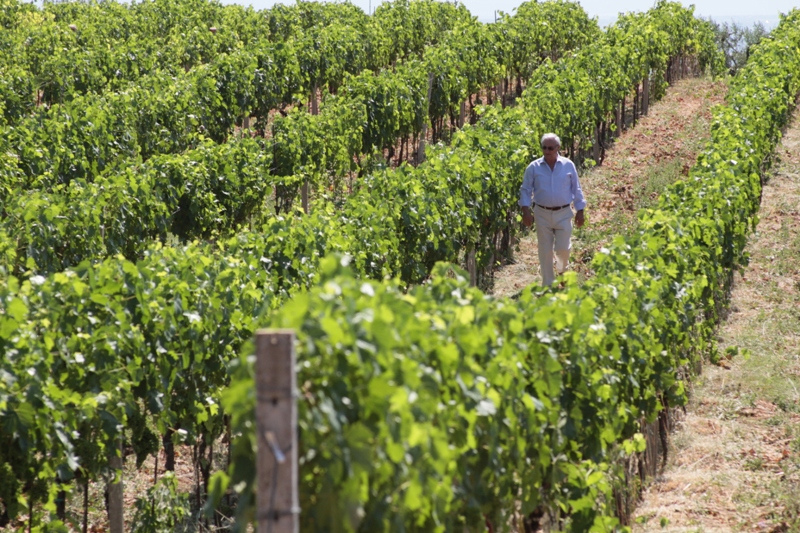 «He did it so that this rare and precious Moscato did not fall into oblivion, in order to show that this land, too, at 400 metres above sea level, characterized by significant thermal excursions and argillaceous soils, brushed by the breezes of Ionian Sea, was able to produce wine. Today, this sipping wine arrives in California, Japan, France, Germany, England, and Australia». The wine, which had been kept as a treasure in Roman Pontifices’ cellars since Sixteenth century and was quoted in different oenological treatises dating back to Nineteenth century, with its 5,000 bottles entered the Olympus of oenology, acquiring excellences and special prizes. Today Cantine Viola owns, among other ones, about 3 hectares of vineyards devoted to the production of Moscato Passito, a concrete evidence that ‘Cantine Viola’ are a reference point of a Calabria which wants to propose and allow knowing, appreciating, and tasting its wines.